It's all about Black Swan these days, but with this much snow on the ground maybe we should think of this one as White Swan, or at least Frozen Lake. In any event, the State Ballet Theater of Russia's acclaimed production of Swan Lake alights in Chicago for three shows this weekend, opening Friday evening and playing two shows on Saturday at the Auditorium Theatre. THE STATE BALLET THEATRE OF RUSSIA PRESENTS "SWAN LAKE"
CHICAGO - The State Ballet Theatre of Russia brings the world’s most beloved ballet, “Swan Lake,” to glorious life for one weekend only Friday, Feb. 4 at 7:30 p.m. and Saturday, Feb. 5 at 2 and 8 p.m. at the Auditorium Theatre of Roosevelt University, 50 E Congress Pkwy. Hailed by the New York Times as “full of enchantment,” this company of distinguished dancers has showcased the unparalleled art of Russian ballet to countries throughout the world. Tickets start at $30 and are available at ticketmaster.com/auditorium or by calling (800) 982-2787. The classic “Swan Lake” has charmed audiences since its St. Petersburg premiere in 1895 and is considered the embodiment of Russian ballet. Set to Tchaikovsky’s magnificent score, with choreography by M. Petipa and L. Ivanov, the ballet tells the timeless story of a young prince named Siegfried who falls in love with Odette, a princess who takes human form at night but each morning is turned into a swan by the evil sorcerer Von Rothbart. In this consummate tale of love conquering all, the spell may only be broken if a prince pledges eternal fidelity to her. 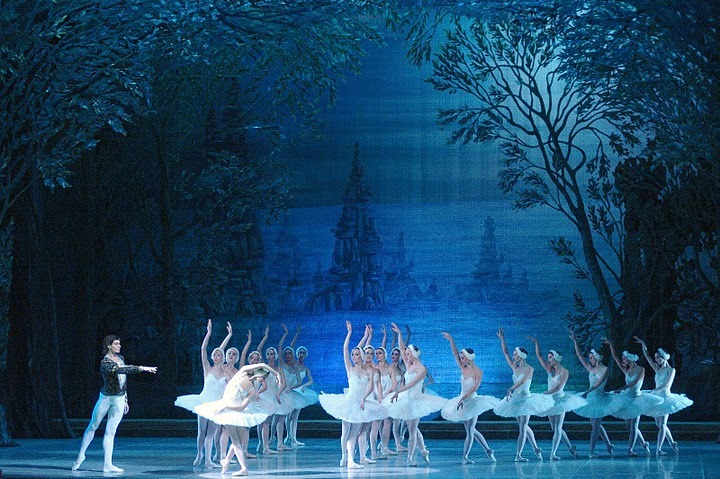 The State Ballet Theatre of Russia is the touring company of The Voronezh State Opera and Ballet Theatre, which has origins in the 16th century and was re-founded in 1961. This company has toured with productions of traditional Russian classics throughout the world. With a company of 65 dancers, the theater’s repertoire includes work by both classical and modern Russian composers, including “Swan Lake,” “The Sleeping Beauty,” “Cinderella,” “The Nutcracker,” “Giselle,” “Don Quixote,” “Le Sylphide,” “Scheherazade,” “Gavalry Halt,” “The Stone Flower,” “1001 Nights,” “Carmen”-suite, “Cipollino,” “Doctor Aubolit,” “Francesca di Rimini” and “The Fountain of Bakhchisarai.” Its performances are relatively new to U.S. audiences, as the company first graced American stages in 2006. The Director of the Company is Honored Artist of Russia Igor Nepomnyashchy and the Artistic Director of the Ballet is Lyudmila Sycheva. “Swan Lake” will be performed Friday, Feb. 4 at 7:30 p.m. and Saturday, Feb. 5 at 2 and 8 p.m. at the Auditorium Theatre. Tickets are $30 to $87 and are available at www.ticketmaster.com/auditorium, by calling (800) 982-2787 or in person at the Auditorium Theatre Box Office, 50 E. Congress Parkway, Chicago, IL. This event is part of The Soviet Arts Experience (October 2010-January 2012), a Chicago-wide showcase of works created under (and in response to) the Politburo of the Soviet Union. Visit www.SovietArtsExperience.org for a full schedule of events. “Swan Lake” is also part of the Auditorium Theatre’s 2010-2011 season subscription series. For more information or to purchase a subscription or group tickets call (312) 431-2357 or visit www.auditoriumtheatre.org.